Are you ready for more?.. 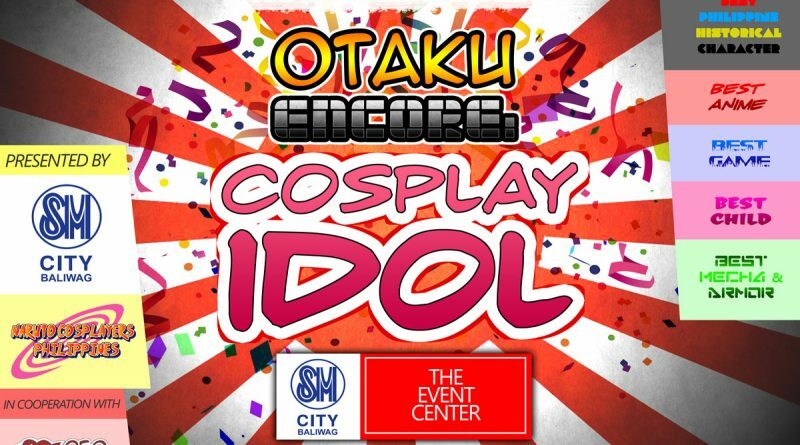 Here comes Otaku Encore: Cosplay Idol at SM City Baliwag. We are bringing along during the event lots of fun and excitement plus 8 guest bands including bands from the NCPH Performers Division. Also, join our special guests School Buzz TV Team of Tito Nel, Ella G., Yoyo Tricker and Chesca Cruzita and Ayumi Kassinique, one of the most popular, well-loved and beautiful cosplayers in the Philippines. 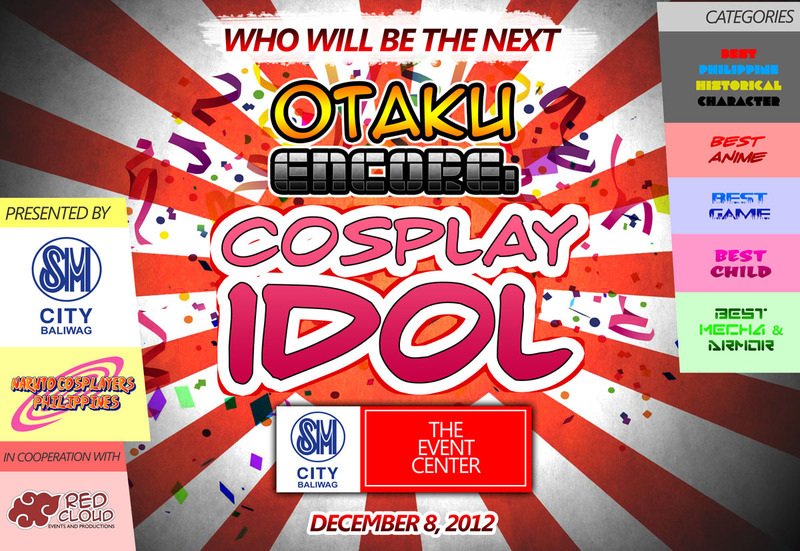 REGISTER ONLINE NOW AT www.narutocosplayers.com/december-9-2012/ (valid until 6pm, Thursday, December 6, 2012). To CHECK YOUR REGISTRATION AND NUMBER PLEASE CLICK HERE. ORGANIZER: SM City Baliwag and Naruto Cosplayers PH (NCPH) in cooperation with Red Cloud Events and Productions. REGISTRATION FEE: FIFTY FIVE PESOS – P55.00 (1 Eco Green Bag and 1 SM bottled water to support SM’s environmental campaign and clean water drinking water for the youth of Mindoro). Ayumi Kassinique, one of the most popular, well-loved and beautiful cosplayers in the Philippines. 1. All previous winners are disqualified to compete in the same category that they won. 2. All costumes that have already won are disqualified regardless who would use them. 3. 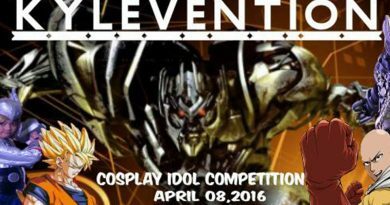 Winners who have won as COSPLAY IDOL cannot win again for the same title. 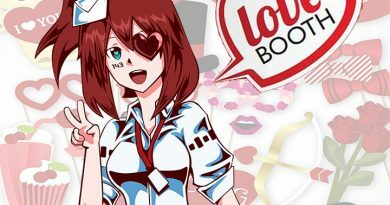 • Cosplay Idol Champion – P5,000 worth of SM Gift Certificates. • Best Philippine Historical Character – P5,000 worth of SM Gift Certificates. 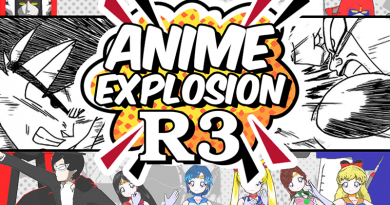 • Best Anime – P3,000 worth of SM Gift Certificates. • Best Game – P3,000 worth of SM Gift Certificates. • Best Child – P3,000 worth of SM Gift Certificates. 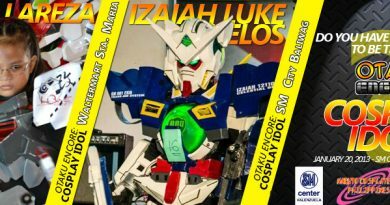 • Best Mecha/Armor – P3,000 worth of SM Gift Certificates. • Best Philippine Historical Character– all characters from Philippine history be it fiction or non-fiction. Examples are Jose Rizal, Mariano Ponce, Pedro Calunsod, Ibarra etc. • Best Mecha/Armor Type – all cosplayers who are cosplaying a Mecha or those whose costume are 60% composed of armor. This category rules will strictly be implemented. • Best Anime– all cosplay which are based on anime series except Mecha, and Child. • Best in Game – all cosplay which are based on games except Mecha, and Child. • Best Child – all cosplayers age 12 and below except if they opt to compete on other categories. 7. Only 150 cosplayers will be accepted. 1. COSPLAY COMPETITION = Judges scores on Characterization + Costume and Accuracy + Performance + 10 RANDOM AUDIENCE score on Overall Appeal. 2. There will be three (3) judges provided by the organizers and two (2) guest judges from the audience.